Registration for CRF 2019 is open. We are delighted to announce that registration for the CRF 2019 Conference is now open. 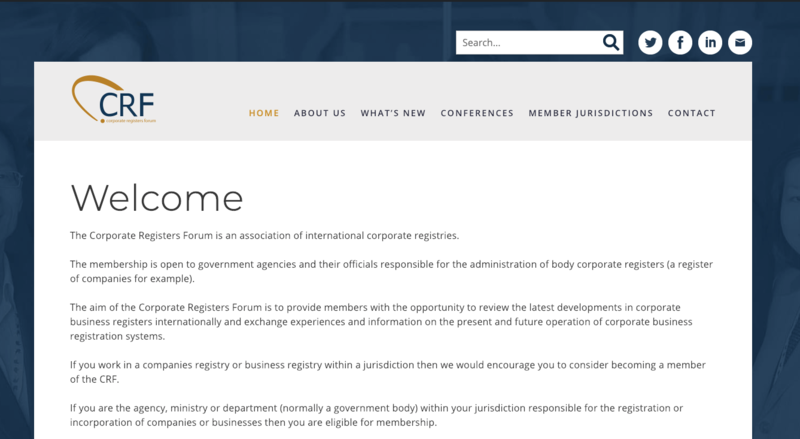 Welcome to the newly launched and refreshed Corporate Registers Forum website. 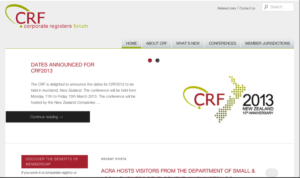 This is the fourth iteration of a website for the CRF since our first meeting in 2003. · The site is mobile friendly and can be accessed from a smart phone or tablet as well as a computer. · The site provides the ability for the CRF to host online forms (such as for conference registration) rather than host PDF versions of forms. · The site provides for public information along with information available only for members via a log in. Members of the CRF you receive an automated email from WordPress (the tool used to develop the new website). It will invite them to login to the new site. Once logged in, members are able to manage their password. Logged in members are able to access additional information. All the information on the upcoming 2019 conference in Macedonia is available from the new site and the conference registration will be available from the site soon. Details of the hotel options and travel dates are available now. Please make the time to register on the new site. 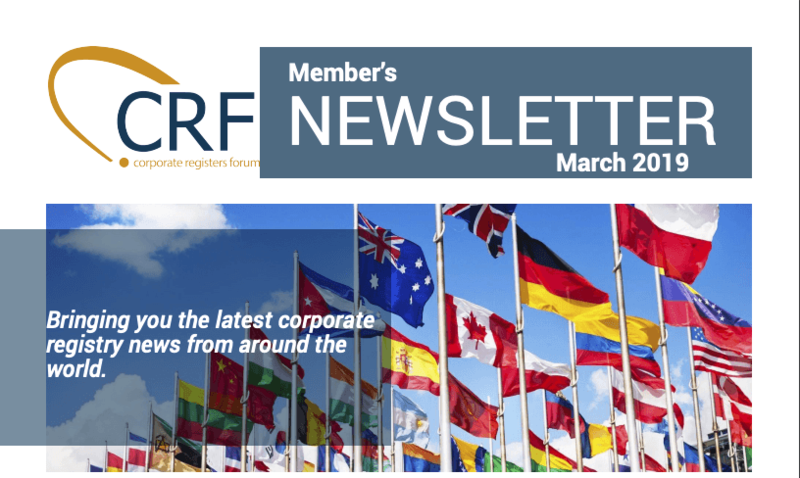 If you’ve not received an email you may do so from the CRF Website Access page. If you have any questions please don’t hesitate to contact the Secretariat. 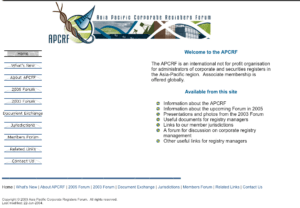 The original APCRF website circa 2003. The second CRF website circa 2006. 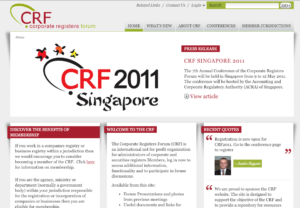 The third CRF website circa 2012 until 2019. 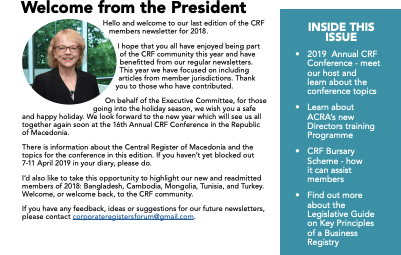 The CRO is delighted to be participating at the 2019 Corporate Registers Forum in North Macedonia this week discussing the latest developments in the registry world.